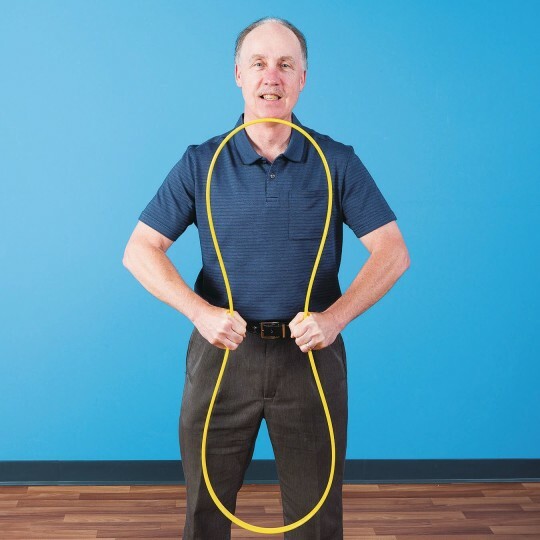 No staples and no kinks, guaranteed! 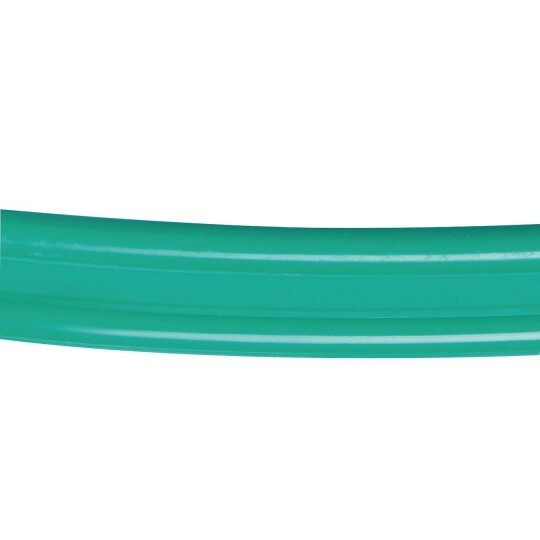 Say goodbye to staples and kinks! 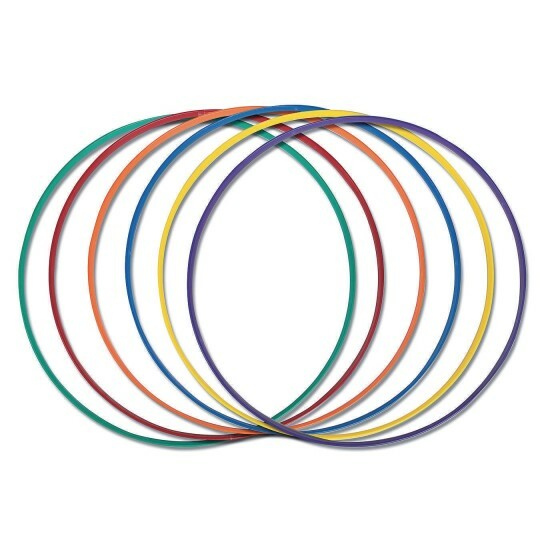 Our exclusive one-piece hoops are injection-molded from a proprietary blend of plastic that provides optimal properties so that you can hula with them, use them as targets, and do all the same things you do with traditional hula-hoops! 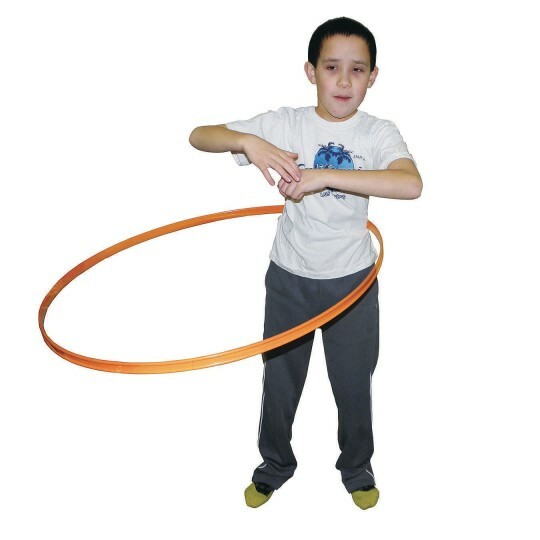 The unique cross sectional design is about 1”H x 1/4” thick, has a round interior for comfort, and two touch points on the outer surface—that means these hoops will roll on their ends much further than ordinary hoops. 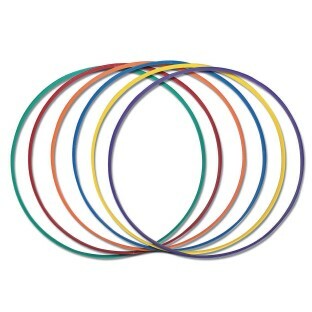 Set of (6) 30” diameter hoops includes one each in 6 different colors.